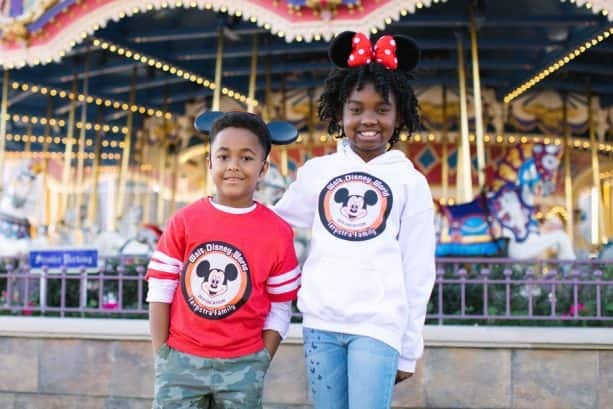 If you’re planning a vacation to Disneyland Resort or Walt Disney World Resort this year, shopDisney.com now offers options for adding a personal touch to your trip down Main Street, U.S.A. with new Disney Parks customizable t-shirts and gear. Created especially for the online store, the authentic apparel and gear contains exclusive artwork with intricate details and designs. You’ll find several art styles featuring Mickey Mouse and friends along with icons from Disney Parks such as Sleeping Beauty Castle or Cinderella Castle. Adding personalization to merchandise with official Disney fonts is easy to do. Once you have found the item you want to personalize, just check the “Add Personalization” box. A pop-up box will appear where you can add your family’s name. Please note that we can personalize with letters and numbers only, no special characters. Also, personalized items can’t be returned once shipped. 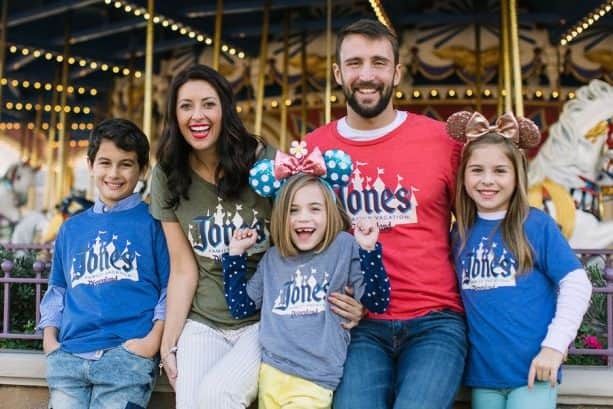 Shirts are offered in multiple colors and styles for adults and kids including short and long-sleeved options, raglan shirts, ringer tees, sweatshirts and more. My partners with the online store also shared even more options will be added this spring, so keep watching Disney Parks Blog for details. 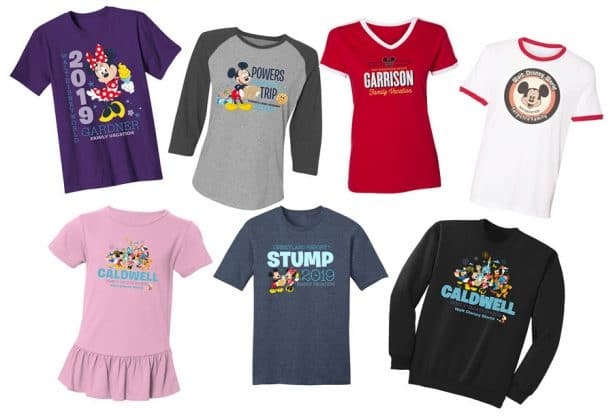 To get started with creating your personalized apparel, please visit shopDisney.com. Thanks great! Thanks for sharing the info! 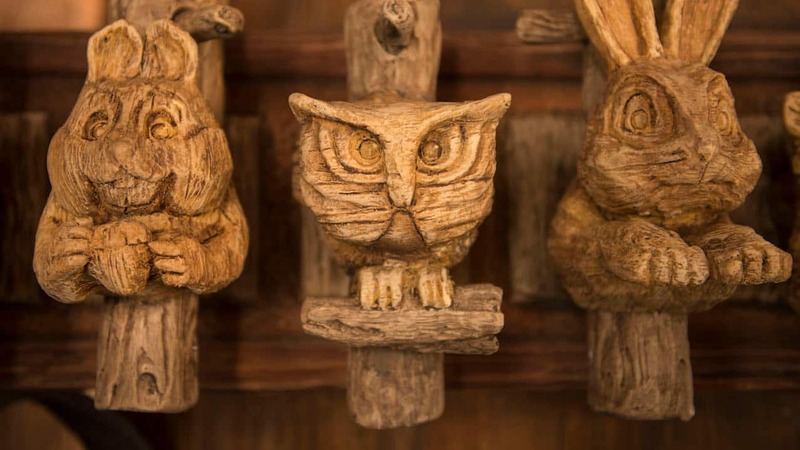 These are a perfect way to put the finishing touches on a family vacation! It will be nice to see the many personalized variations throughout the parks.